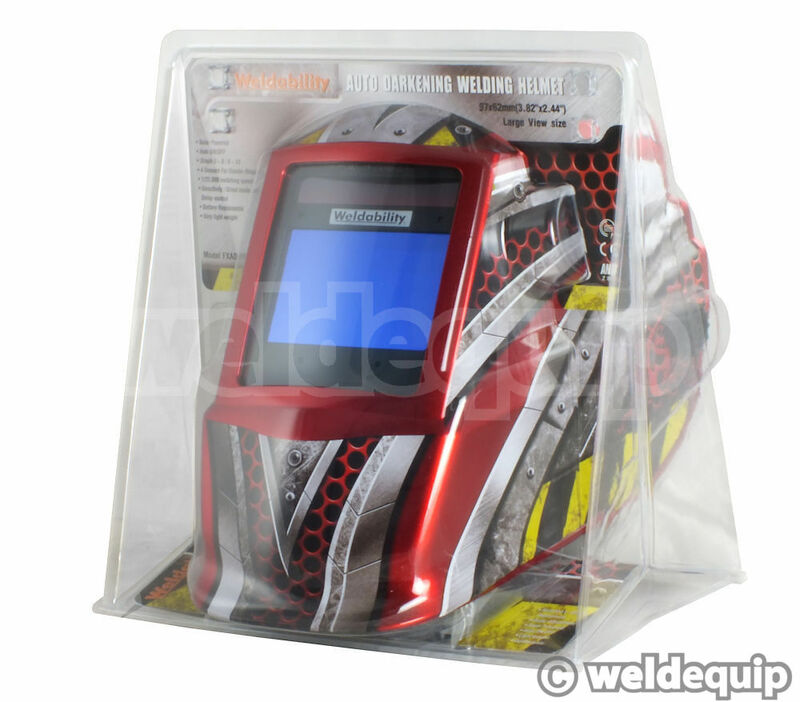 Essentially the same as the popular Phantom XL from Weldability SIF the Extreme model benefits from a dual shade range of 5-8 and 9-13 to cover virtually every application, and a slightly better optical class. 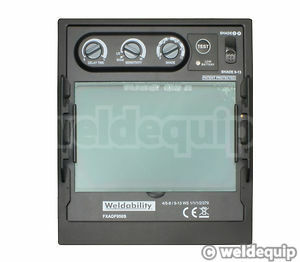 MIG/MAG, MMA & PLASMA Cutting/Welding and Oxy/Acetylene Welding/Cutting are all also perfectly coveredwith it’s Dual Range variable shade control 5-8 and 9-13; this is is located internally on the ADF unit to prevent any external damage caused from knocks, along with fully variable Sensitivity & Delay controls. 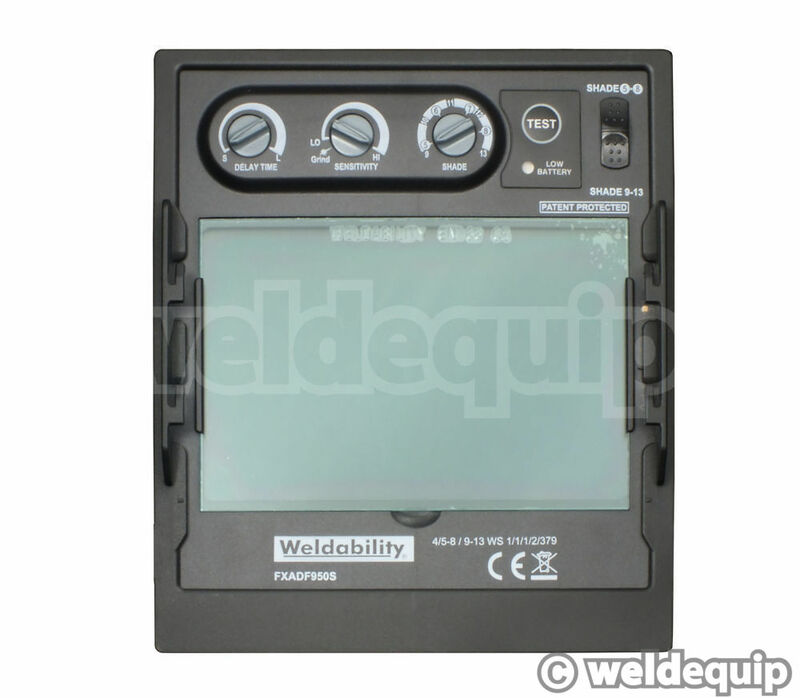 The unit is solar cell powered from the welding arc, with a replaceable battery back-up for extended cartridge life; 6000hr average life, 2x 3V Lithium cell batteries, readily available. The helmet shell itself provides excellent, full front & side protection and is manufactured from high impact resistant Nylon to EN175B standard. 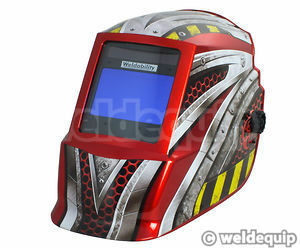 Finished in a nice metallic red coating with ‘Extreme’ graphics. The headgear is comfortable & fully adjustable – from ‘nose to lens’ fit – as well as head size & rake angle adjustment. Magnification Lenses can be slotted into the back of the LCD cartridge for fine detail work.